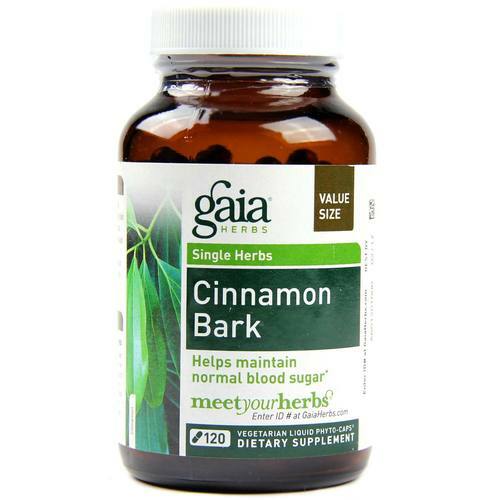 Gaia Herbs provides an easy way to take Cinnamon Bark with vegetarian capsules. Warnings: Not to be used during pregnancy or lactation. Keep away from children. If you have a medical condition or take medicationsâ€š please consult with your doctor before using this product. 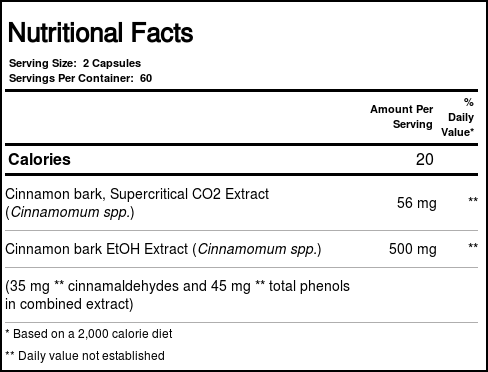 Notes: Made free of alcohol, dairy, gluten and heavy metals. A vegetarian product. Made with organic ingredients. 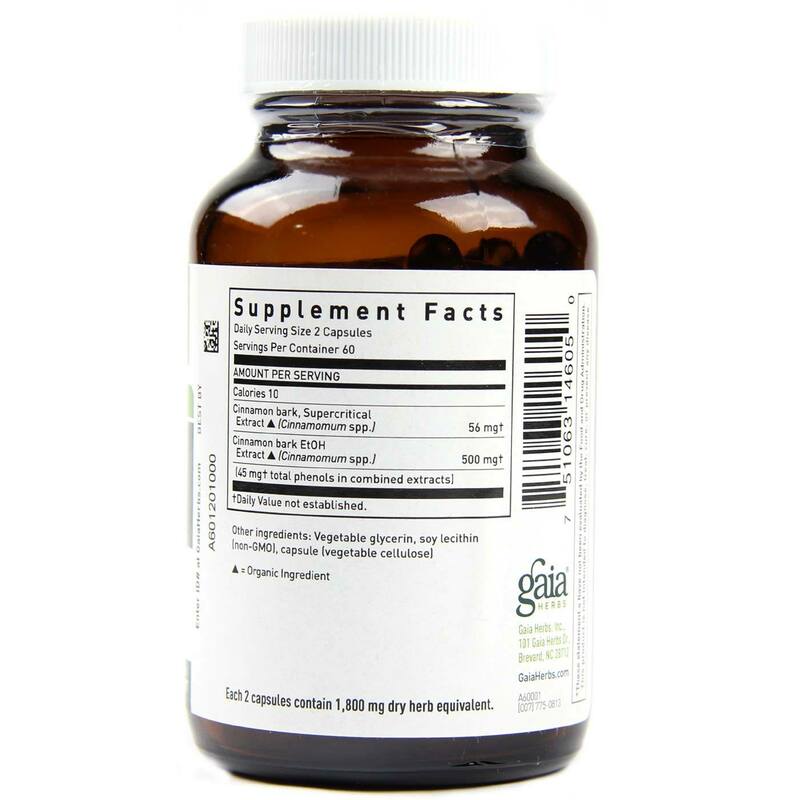 Recommended Use: Adults take 1 capsule 2 times daily after meals. 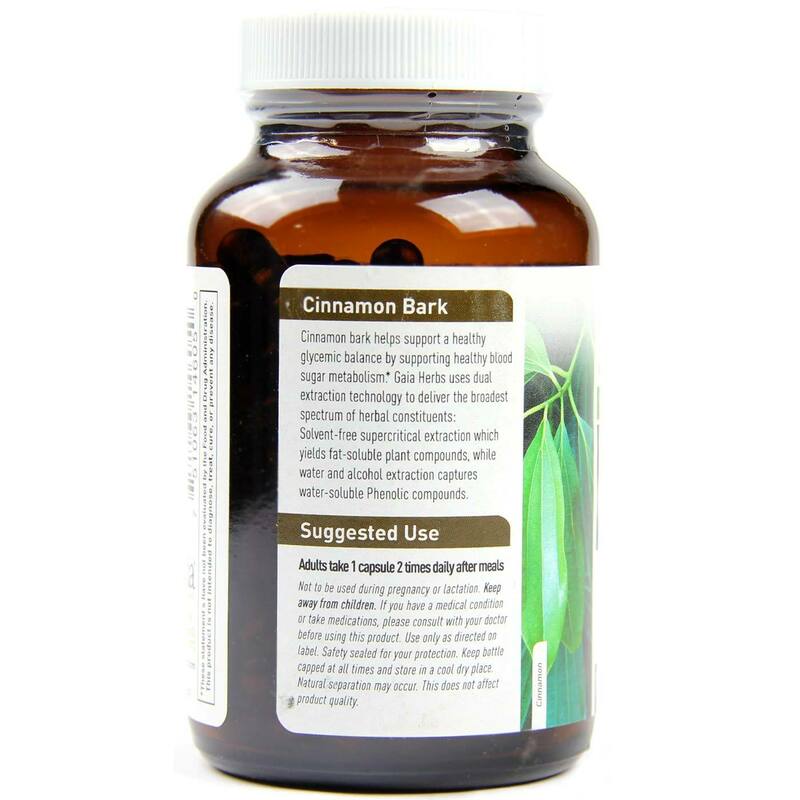 The customer reviews posted below are based on individual consumer experiences and may NOT necessarily represent what expected results will be from using or taking Gaia Herbs Cinnamon Bark - 120 Vegetarian Liquid Phyto-Caps. These results may not be typical and you should not necessarily expect to receive the same results. Actual results may vary.